Download our free Buyer’s Guide now. As a process that protects materials and products, vacuum drying is used in many sectors of industry and research. Its applications range from drying food products to the challenge of testing materials. We have put together this Buyer’s Guide to help you maintain a broad overview while considering all the many different applications. 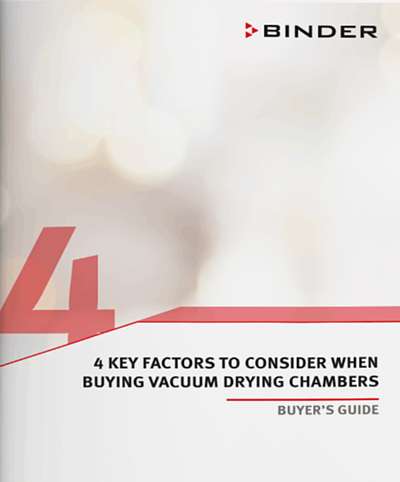 We start by explaining how vacuum drying chambers work in general and then take a look at the key properties a decent unit will possess, so you know exactly which details you should be looking out for when making your own choice. Complete the form to make sure you get your free Buyer’s Guide!